Learn about Natural Language Processing in Python! This workshop covers introductory techniques and resources for NLP and ends with the implementation of a machine learning topic mining algorithm. No advanced coding experience required! To prepare, please follow the steps below to download the programs and we’ll teach you the rest! Navigate to https://www.anaconda.com/download/ and download the 3.6 version of Python and make sure to click ‘run’ on the popup. Click through the setup window, continuing with the default options. We are not going to be using visual basics for this purpose. 2. 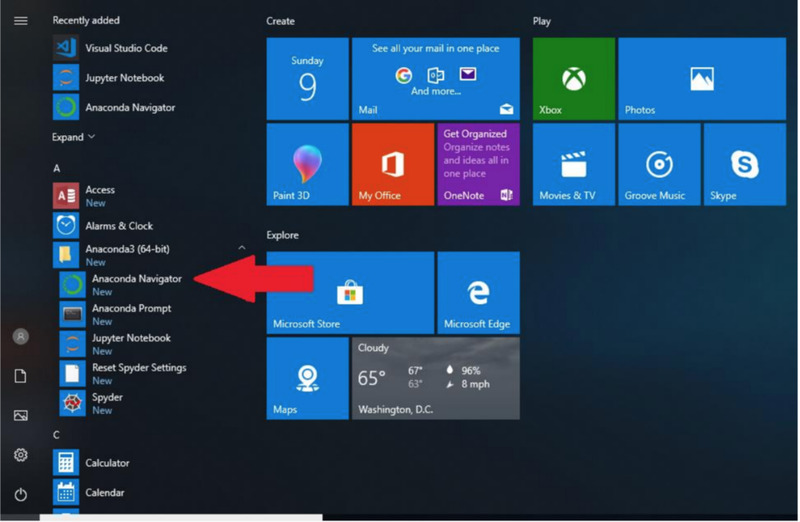 Open the Anaconda Navigator from your start menu. You can save this as a desktop icon if you choose. For Mac users, you can add Anaconda Navigator to your applications folder. 4. Now, navigate to DSI’s Natural Language Processing Github repository, https://github.com/dsiufl/Natural-Language-Processing and click Download Zip. Navigate to the .zip file in your files on your computer and unzip it. 5. 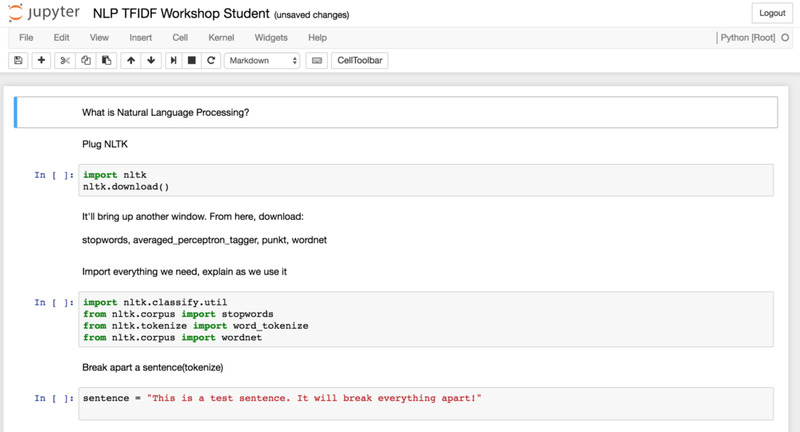 In the file browser inside of Jupyter, navigate to the unzipped file folder and open the .ipynb file for the workshop you are attending, in this case, Natural Language Processing. Open the student version to code along with the instructor at the workshop or the instructor version to see the completed workshop. 6. It should look like this. Thanks for coming and enjoy the workshop! Remember, don’t hesitate to ask any questions if you need help and come to the workshop early if you are having trouble downloading or installing any of the software so our instructors can assist you. Feel free to post on the Facebook event page or DSI Facebook group if you have any questions!